Our lives revolve around our children. Everything we do, we do for them. We work hard to provide them food, a nice home to live in and try to impart them education that is going to be useful in their practical lives. As Muslims, we all believe that we are sent in this world as a test; we are going to be successful in our lives hereafter only if we have performed well in this world. No one denies this, but unfortunately, when we look around us, we see that parents feel they have done enough by giving their children the facilities of the world; computers, I-pads, cell phones, games and the list goes on. They feel it is their duty to wake their kids up for school, but not for Fajr salah. How can we expect our children to follow Islam, be good Muslims, when we don’t do our part as parents in teaching them Islam from day one? According to the meaning of a Sahih Hadeeth, all children are born as Muslims, i.e., they believe in One Allah, but their parents turn them into Christians, Jews and Non muslims. We, as parents need to make it certain to teach our children Islam from an early age; not present it just as a set of religious rituals; instead present Islam as a complete system of life. We need to teach them salah at the recommended age, 7 years. We need to make our children learn Quran at an early age, too. Not just the recitation with proper makharij and tajweed, but we should also try to make sure that our children learn Quran with its translation and meanings. They should understand the word of Allah properly and thoroughly. We should try to inculcate the love of Allah, His Prophet (SAW) and Quran in their heart to an extent, that not only do our children learn Quran, they also adopt Quran in their lives and choose Islam as a system of life. In order to achieve this, we need to find good teachers, who can, not only teach our children the correct recitation of Quran along with the rules of tajweed, but teach them the translation and meaning of Quran. Good teachers are extremely hard to find and sometimes out of reach. 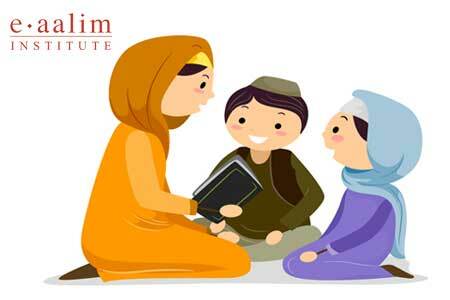 Fortunately, it has become quite easy for children to learn Quran as many institutes like Eaalim, offer online classes. 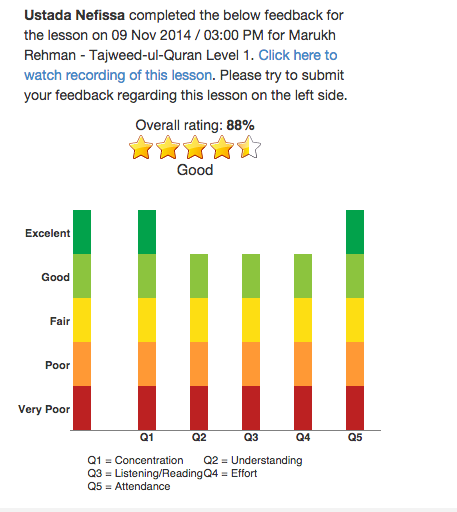 Children learn Quran with a class, or through private tuitions, as per their preference. Just make sure to research for an institute that has a good team of dedicated and experienced male and female teachers, like Eaalim. The qualified teachers at Eaalim help children learn Quran in an interesting way and keep them engaged and motivated throughout. Just remember that the time, effort and money you invest in making your children learn Quran, is a deed that is going to be paid manifold by Allah SWT Himself.